A) I’ve been an HBO subscriber since the 80’s, watched almost everything on it, and “House of Cards” is totally as good as anything that has ever been on HBO, better than most. (I’ve seen the first three episodes, and wait until you see Spacey’s mind blowing performance in #3). B) Netflix is not competing against Amazon, nor HBO. I’m a subscriber to Netflix and Amazon instant, and even together their cost is 1/10th of my DISH bill. And if HBO had a stand alone $10/mo app, I’d sub to it too, and my cost would still be way lower, but more importantly my value would be greater. Think about the power of that: Greater Value and Much Less Cost. Netflix is competing against cable & satellite TV. And they are going to crush them. C) It’s about distribution. Hollywood cares as much about distribution as it does cash money. Perhaps even more so. Netflix has 30 million subs and growing. How many “Instant” subs are there? 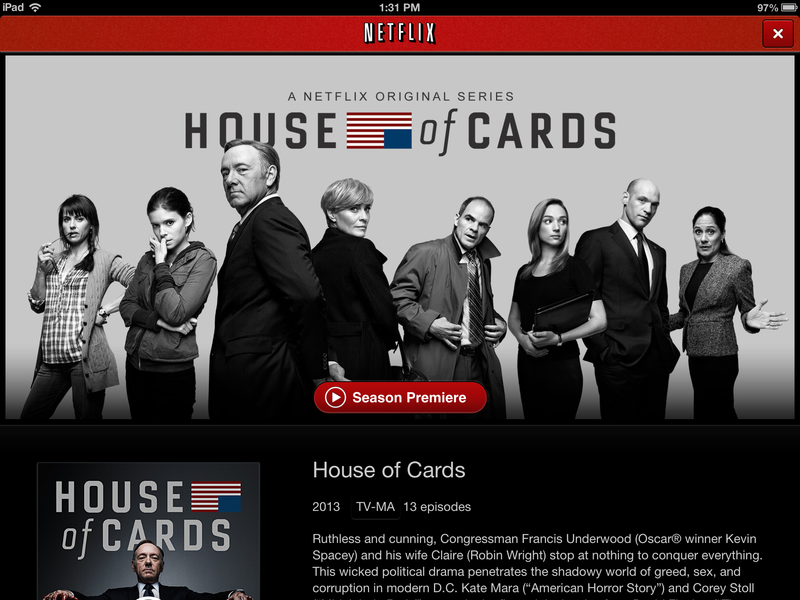 30 million people all seeing “House of Cards” promoted on the front page of Netflix. That’s powerful. How much is that worth? And it’s growing. And it’s Global. Being released Globally at the same time as its being released in the US. I think that is a first ever for any TV show or Motion Picture. That is very attractive to the best writers, actors, producers and directors. Netflix and it’s model are the future: Digitization, Globalization, and Urbanization, and their endgame is to be THE Global distribution channel of filmed digital arts and entertainment, and they will succeed. They’ve already entered escape velocity. 5 years from now they’ll have at least 100 million subs, but more likely closer to a quarter billion. And once again, it’s not the $8/mo from those subs that’s the real power. It’s the distribution and reach of the platform and brand. You see, at the end of the day, it’s all about distribution. Yahoo Finance gives you distribution for this article about Netflix. Google Finance doesn’t. Luckily, Finance is one category Yahoo does lead in. I leaned this from Dave McClure on Twitter: Business = Value + Distribution. 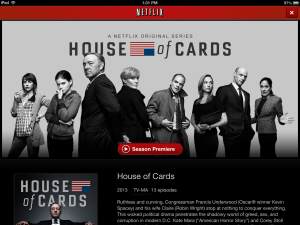 There’s no question about Netflix’s value proposition. So, all these years it’s main focus of energy has been in building distribution, and now it has succeeded and will continue to grow massively. This entry was posted in Culture, Economics, Films, Investments, Tech, Video and tagged Culture, netflix, Tech on February 4, 2013 by Stephen Pickering. It’s a common theme, maybe the most important theme, of Fairy Tales and Mythological stories: when the Hero or Heroin answers the “Call” to adventure,” magical helpers show up seemingly out of nowhere. Similarly in this story, when Gil answers his own inner call to walk the streets of Paris alone at night (instead of following his ‘Social Duty’ or ‘Dharma’ and going with his fiance and her friends, who though attractive, whose views on life and art, he couldn’t stand) the “greatest adventure of his life” magically shows up. This entry was posted in Culture, Films, Philosophy and tagged film, Mythology on December 20, 2011 by Stephen Pickering. What’s weird is that it’s not listed on the ‘official’ soundtrack, so I used the app “Shazam” on the iPhone to detect the right song. Pretty cool. This entry was posted in Audio, Culture, Films, Music on December 17, 2011 by Stephen Pickering. Update: 12/28/12 – “Woody Allen.” This is a fantastic documentary, certainly a must watch for his fans, and fans of comedy and film in general. I wasn’t ever going to watch it, even though I love Woody Allen, because I thought for some reason, it would be one of those “Cheesy” documentaries with just like a general overview. But no! Thankfully, my Brother in Law, who is in town for the Holidays told me it was great, and he was right! Greatly directed, Woody Allen himself is interviewed, and it’s like he takes you into his World and his process. I was thinking Woody was so intensely private that he wouldn’t even be in it, but he is all in it, directly. It’s like an intimate look into his World, as well as being a great overview of his career and chock full of direct interviews with the Actors and Actresses that played such important rolls in his work. 11/19/12 – Finally got around to watching “Ira & Abby” last night on Netflix, and I really enjoyed it. I probably would never have considered this movie if I hadn’t seen “Friends With Kids” which I loved. I was wondering who Jennifer Westfeldt was? I loved her performance in that one, and even though this is a bit quirkier, if you’re a fan of hers, you’ll definitely enjoy it. Her personality pervades this one as thoroughly with good vibes and humor as in “Friends With Kids.” It’s a good movie, and the performances of the parents in this movie (Robert Klein is one, you’ll recognize the others) are fantastic and funny. It works and is enjoyable. 11/5/12 – “Manhattan” by Woody Allen. Man, I love this movie. This is a must see for any movie buff, or even if you aren’t a Movie buff, and you like to read the type of short stories that are in the Paris Review and that sort of literature, I think you’ll love this. This reminds me of an F. Scott Fitzgerald short story, only on film. The tone, the atmosphere, the aesthetic, put me in a blissful aesthetic “arrest.” Which is what true art does. Too bad I actually bought this film on iTunes over a year ago. But I’m delighted it’s on Netflix. It’s timeless and wonderfully refreshing. 11/2/12 – This looks interesting. Just saw it on Ebert’s Facebook: “Out of Sight” with George Clooney and Jennifer Lopez, directed by Steven Soderbergh. Based on an Elmore Leonard novel, so it should be fun. Here’s Ebert’s review. 10/9/12 – Dumb and Dumber – The Unrated Version – Just saw Ebert Facebook about this new streamer on Netflix. There’s one scene that made him laugh so hard he embarrassed himself. Here’s a link to his comment about it if you have a Facebook account. Also, I watched most of “The Way” with Martin Sheen on the treadmill. I have about 30 minutes left, which I’ll finish on my next treadmill session. But it’s fantastic. For some reason I was thinking it was a documentary about that pilgrimage. No, no, no. It’s a fictional movie, written and directed by his son, Emilio Estevez, and I love it. Very moving and terrific acting. 8/1/12 – Just saw this headline come through my Facebook feed today: The 50 Best Movies on Netflix Instant from Paste Magazine. This is a nice little movie. Once again, I paid good money to rent it on iTunes. I like these little Burns movies. They’re not big productions, but they’re good stories and focus on the acting and the movements. They feel real, and they’re entertaining. Update: 6/30/12 – “The Wedding Planner” with J-Lo and again Matthew McConaughey, much younger versions of both, is a cute little movie. Doesn’t take any effort, and entertaining way to spend an hour and a half, and the stars are of course charming and easy on the eyes. So is the backdrop of San Francisco. What man doesn’t dream of a 30 year old J-Lo or what woman a (Well, I’m not sure how old he was in this) McConaughey, especially as a young doctor? Netflix! I was in the middle of my Ghost Whisperer marathon! FIX IT RAAAAAAAWWWWWWWRR!! Update 6/24/12 – Just saw Mindy Smith, the recording artist, say this on Facebook, “Just watched a great film called Cemetery Junction. It’s on the Netflix so check it out! Gotta love the Britt’s.” (I haven’t seen it yet, but I’ll put it in my Queue. On another note, I’ve found a cure for my 30 Rock addiction: Arrested Development! I’ve watched 18 episodes in the last few days and haven’t laughed so much since, well, 30 Rock! Maybe more, because the comedy is written so densely. It’s totally different. If you like Jason Bateman in the movies, which I do, you’ll see why the offers came pouring in after he did this series. Update 6/12/12 – Just saw Ebert tweet that “Shakespeare in Love” is just now on instant. Never saw it. Guess I should. Well, I burned myself out on “30 Rock.” As much as I love Tina Fey, I watched every episode so many times, I knew every little thing that was going to happen. So I watched the Gary Shandling movie from 2000 called “What Planet are You From” with Annette Bening. I went in not expecting too much. The reviews weren’t great, but I ended up really enjoying it. It was good. You can’t go wrong with a Mike Nichols film. If you like comedies and or Gary Shandling (And I’m a huge fan of “The Larry Sanders Show”) I think you’ll like it. But what I’m most crazy about is “Sherlock.” I watched the first episode last night and it was crazy good! I’d seen it in the queu for weeks, but didn’t think much about it. But then I heard from two or three people online how awesome it was. So, I decided to dive in. And I wasn’t disappointed! Loved it. Netflix has the first season of 3 88 minute episodes. So they’re almost as long as a movie. Can’t wait to watch episode #2 tonight! 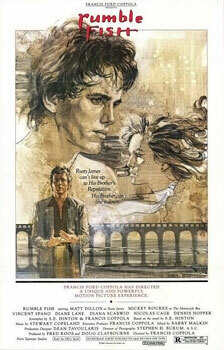 The Quiet American – I got this one from Ebert also. I loved it. It’s with Michael Caine, Brendan Fraiser, and the beautiful Vietnamese actress Do Thi Hai Yen Takes place in Vietnam in the 50’s and is about how the Vietnam War came about. It’s from an English Novel, and so of course, politically, the English protagonist is portrayed ideally, ie. England’s role in Southeast Asia was one of “love” while of course the “Quiet American” himself, Frasier, is portrayed as coldly calculating, manipulating, and coniving (at least politically. Personally, as we see in the love story within the story, he’s ‘quiet’ and charming) in his political quests of influence on behalf of America. I don’t know about the history, especially the English idealism versus the one dimensional American lack of refinement as well as soul, but it makes for a good drama. And the love story within the political story is not only well played and convincing by all three actors, but riveting in it’s parallel conflict of idealism versus pragmatism. The story builds, crescendos, and ends in a way that feels real all the more because the tensions seem to parallel the paradoxes of how real life and politics works. Morning Glory (2010) – I rented this movie on iTunes earlier this year when it came out on DVD. I liked it. Saw Ebert facebook it yesterday: “Currently the most popular film on Netflix. It’s a charmer. Streaming on Instant.” Here’s a link also to his review. Swingers (1996) – If you’re any kind of film buff, you’ve gotta see this one. Man, it’s so good. I had the same feeling after watching it that I had after watching “Manhattan” by Woody Allen: It feels like the proper use of the medium. It has the feel of a really good piece of literature, a great short story, which is really hard with the medium of film, since human beings are built to be affected by the visual sense more than any other. That makes film a very hard medium to achieve ‘art’ with, to achieve something that is not didactic or pornographic. But this and Manhattan are the closest I’ve ever seen the medium come to achieving that “aesthetic” arrest that James Joyce talks about. Cave of Forgotten Dreams (2010) – It’s about those ancient cave paintings in France from 30,000 years ago. Ebert’s Review. Page One: Inside the New York Times (2011) – Heard this one recommended by Amber MacArthur and Sarah Lane on the Social Hour. Documentary about the New York Times. Pearl Jam Twenty (2011) – Actually got this from one my friends on Facebook. Of course it helps to be a hard rock/grunge/ Pearl Jam fan, but I am, and so are a lot of folks. 30 Rock – The process of producing a TV Comedy becomes a TV Comedy. And no one gets the comedic irony of everyday life mixing with showbiz life, male egos mixing with female egos, the feeling of being in the middle of the chaos and yet being released from it through comedic surrender, better than Tina Fey. The Larry Sanders Show – All six seasons! Definitely one of the best TV shows of the 90’s. I figured building a repository for this topic would be beneficial. Probably 90% of the recommendations will come from Roger Ebert, where I get mine, and you can follow him on Twitter @EbertChicago or on facebook at Facebook.com/RogerEbert Of course, this list will build as time goes on. Also, leave a comment below of any of your recommendations. This entry was posted in Culture, Films and tagged film, instant, movies, netflix on November 27, 2011 by Stephen Pickering.